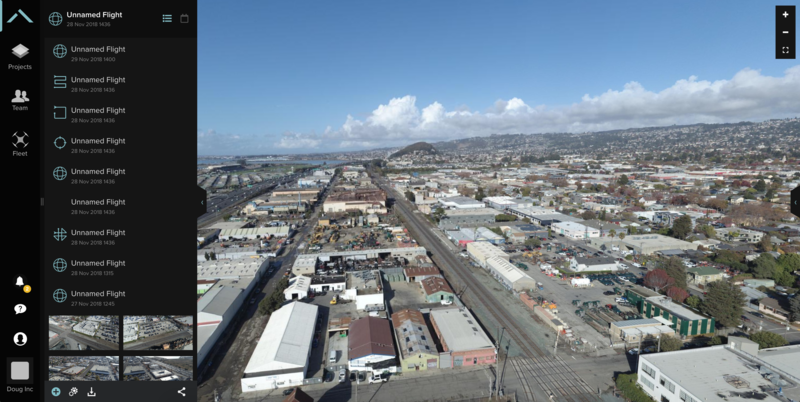 Flying and creating 360º panorama photos is now available with Site Scan. 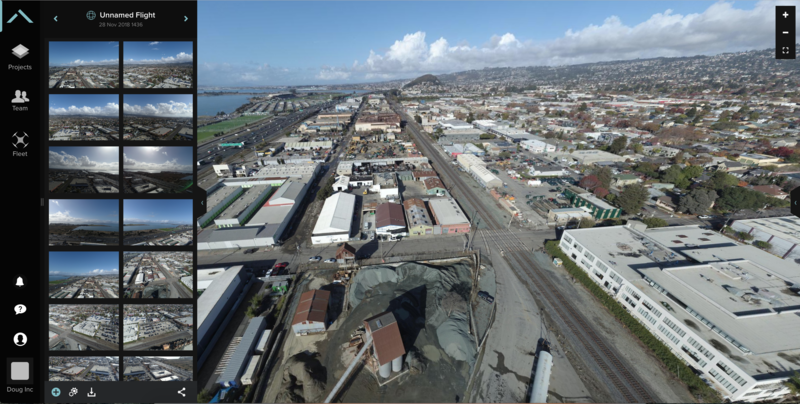 This flight mode captures a complete view of your operating site, including the area under the drone, which is an excellent tool to be used for internal project progression and marketing purposes. 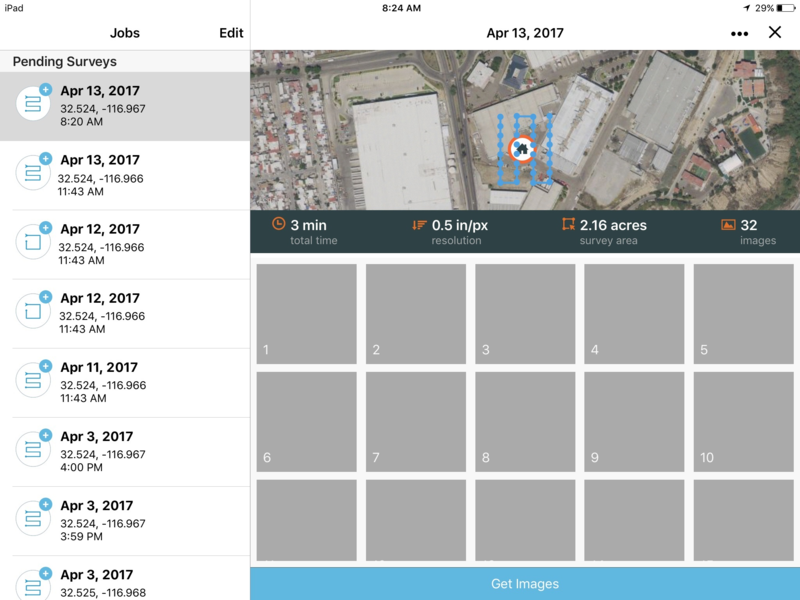 To create a panorama flight, ope your Site Scan Field app and select the project you want to fly or create a new project. You can then select "Panorama" from the flight modes screen. 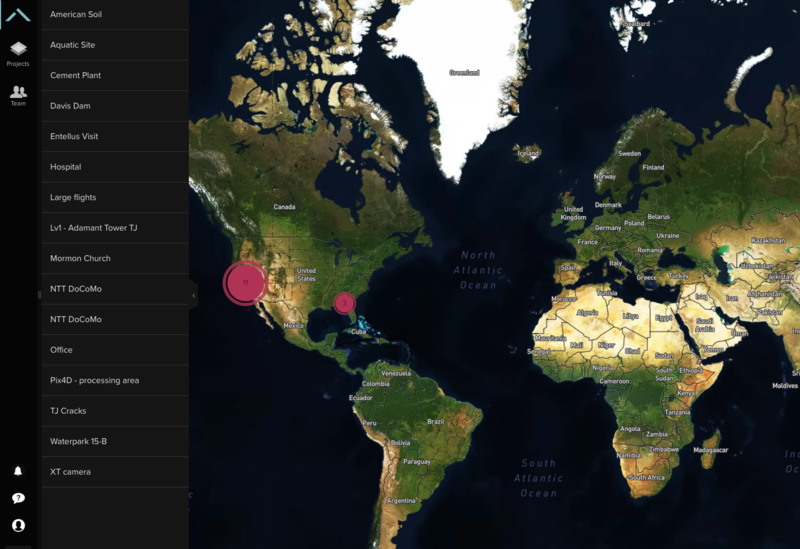 Once selected, you'll be redirected to the map view, where you can select the name and location of your flight. 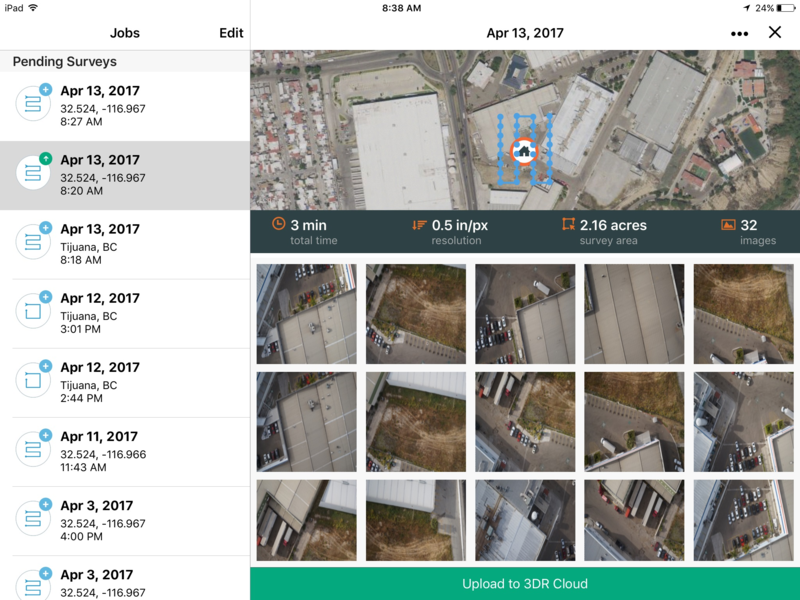 Click next so you can select your flight settings, including altitude (at which you want to capture your photos), return altitude (at which you would like the drone to climb to before returning to its starting point), overlap (what percentage of photo overlap you'd prefer), and low light mode. The closer you are to a structure or building, the bigger the overlap should be. The default and recommended overlap for most flights is 30%, with the minimum overlap being 10% and the maximum 70%. You can also move the green circle to the desired location of the photo by tapping and dragging it. This screen also allows you to unlock DJI no fly zones (if you're flying a DJI drone) and check any FAA advisories around your flight area. It will also display the expected number of photographs your flight will take. The higher your selected overlap percentage is, the more photos your flight will require. 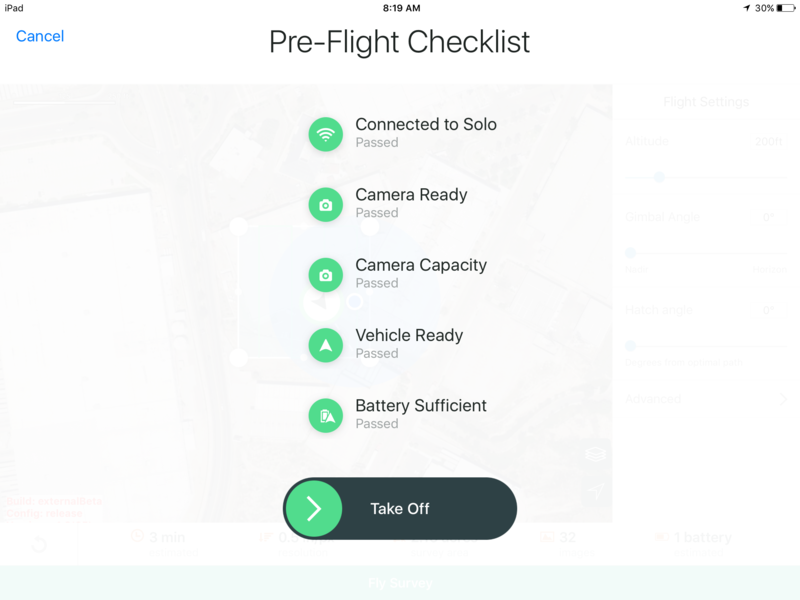 Once you're comfortable with the settings you've selected, click the Fly button and your drone will go through the normal pre-flight checks. 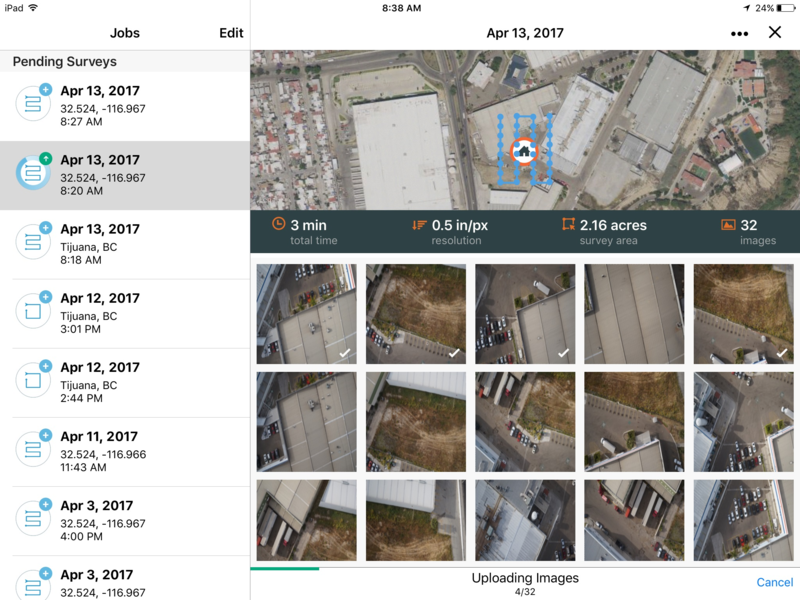 Once your drone starts the flight, you'll see progress bar on the bottom of the screen that indicates the progress of the flight, while the numbers at the bottom shows the number of photos taken vs the number of photos required for the flight. During flight you can pause the mission by pressing the pause button on the bottom right of the screen. After the panorama photo is complete, the aircraft will return straight to home. After the flight data is retrieved, hit the X on the upper left of the screen to go back to our flight modes menu. Here you will find a notification on the upper left, clicking on this button will open the flights screen. Whenever you upload a flight to Site Scan Manager, processing will start automatically. You can also manually process the flight. 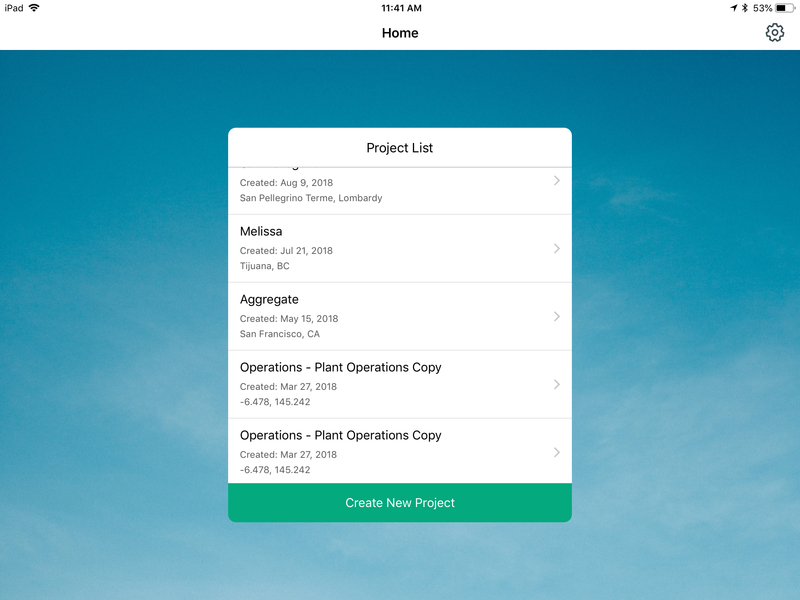 Log into Manager using your Site Scan credentials, select the project on the left side bar that contains the flight you want to process (alternatively you can click on the "Projects" button and select it from there). At this point he processing phase will start. You'll receive a pop up notification with an estimated processing time on the bottom right corner. 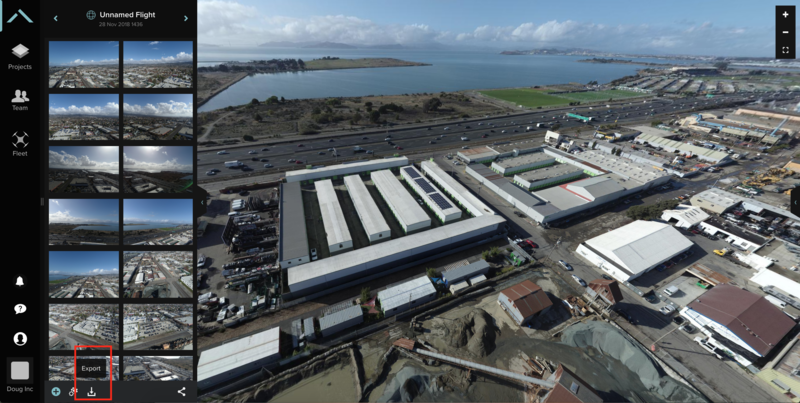 Once processing is complete, you'll be able to view your panorama photo. Click on the flight you just processed and you'll be redirected to the photo. On the right hand side of the screen you'll be able to view and move the panorama photo. Click on the photo and use your mouse to move around the photo. You can double click to zoom into any particular point. On the left hand side of the screen you'll find the photo navigator, which will show all the photos that were taken during your flight. You can download, enhance or zoom into any of the photos. You will also be able to download the panorama photo as a jpg file. Navigate to the export section of the screen and click on the button. 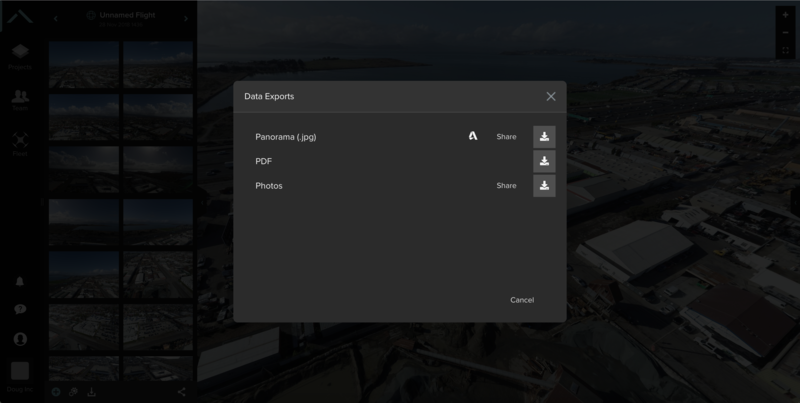 Once you click on it, you'll be able to download the panorama photo as a whole or download all the photos included in the panorama as a zip file.